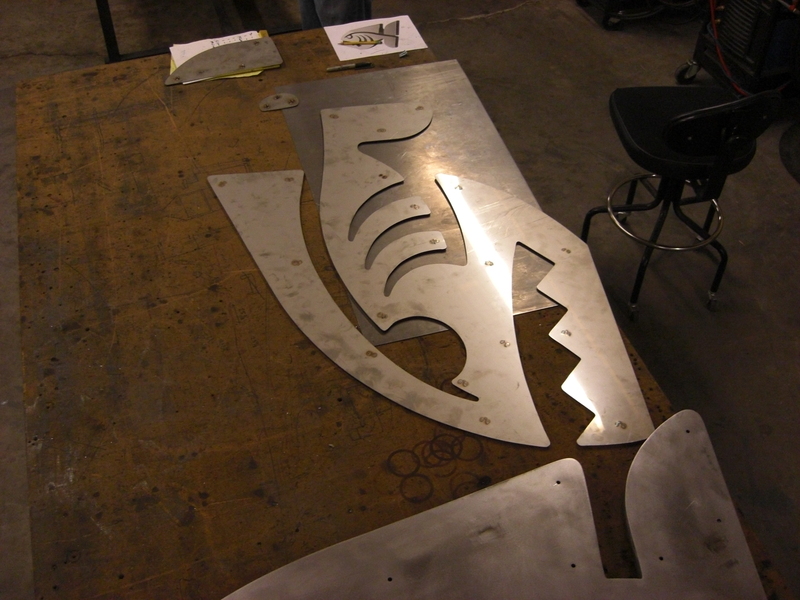 Mesa Machinery sells equipment to shops around the valley, including Kornegay Fabrication. 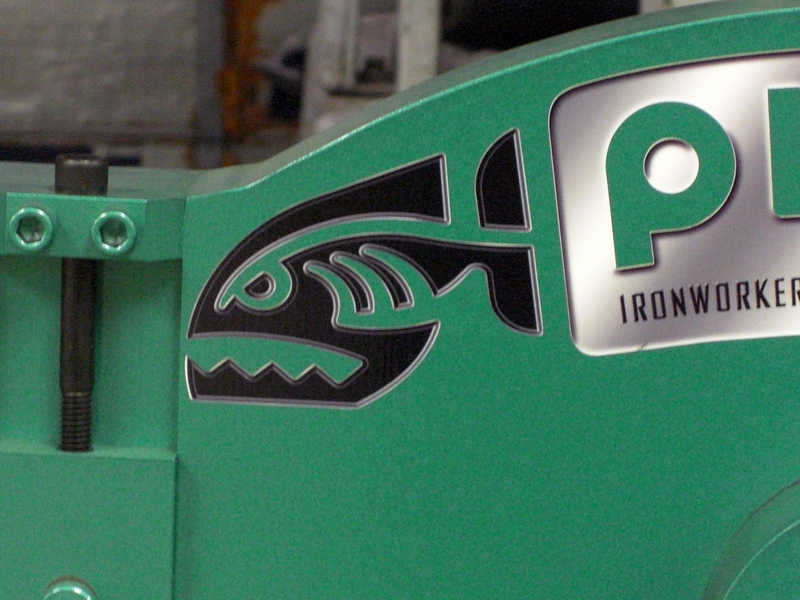 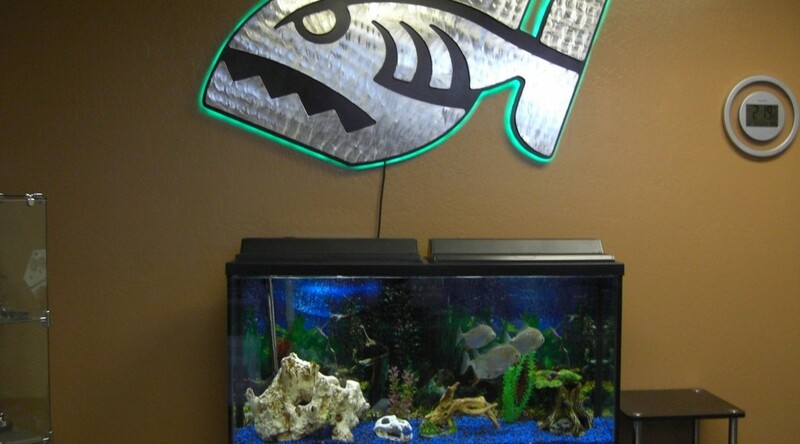 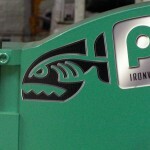 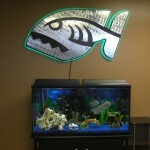 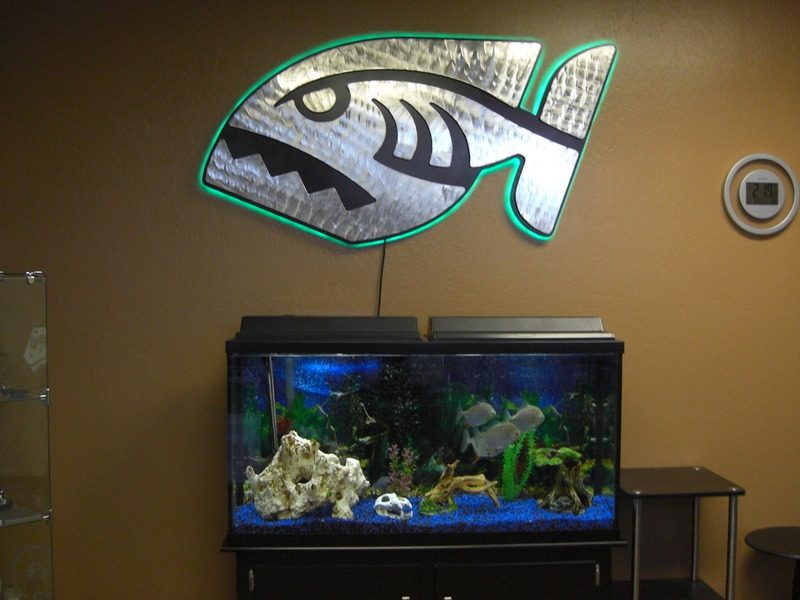 This sign is the symbol for the Piranha brand ironworkers, and it now hangs in their office. 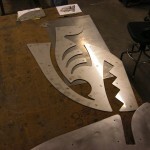 The image is cut out. 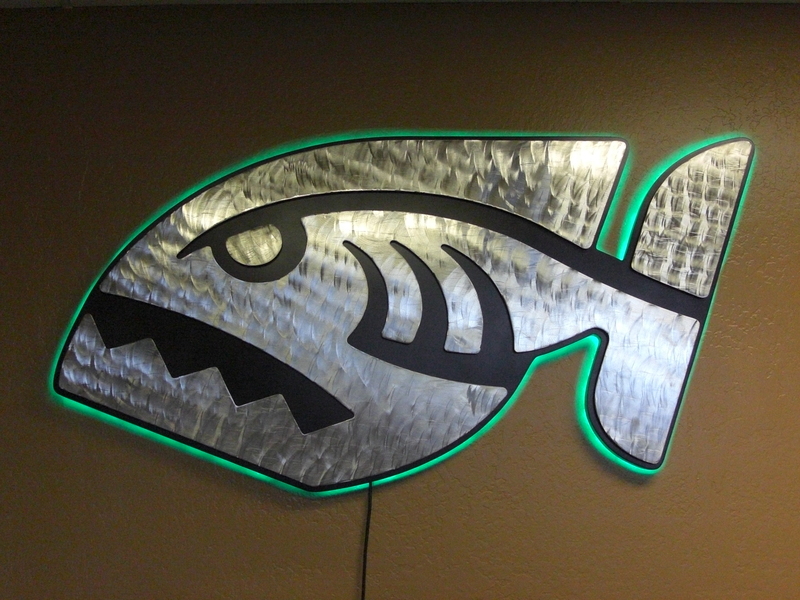 Final product – backlit sign. 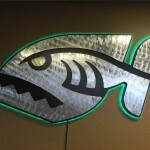 Piranha sign for Mesa Machinery in Mesa, Arizona.